Sportlunch Powerbreak 2 has actually nothing to do with the original Sportlunch, it has just borrowed the name. SL Powerbreak 2 is described in English on the package (why I wonder?) as a chunky chocolate bar with chewy chocolate nougat and almonds. There is also a Powerbreak 1 I might add, which is more similar to the original Sportlunch with the chocolate and wafer content. Anyway SL Powerbreak 2 is surprisingly good. 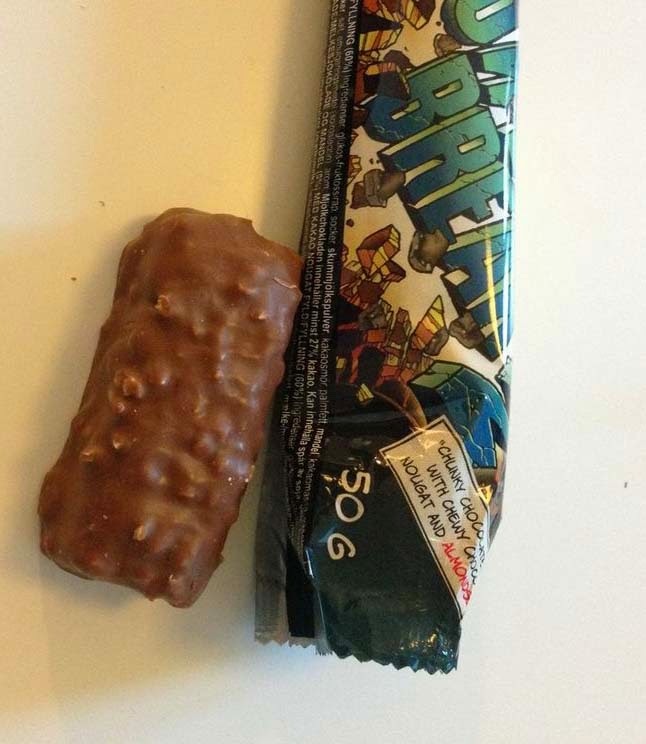 I especially like how the chocolate nougat is both firm and chewy at the same time. At the first bite you think it's gonna be crumbly but it isn't. But I would like to notice the almond slivers a bit more.